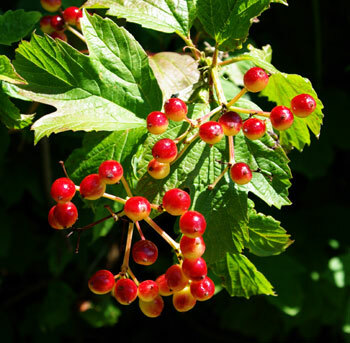 (Highbush Cranberry) Making decorative, snowball-like flowers in the spring, shiny red berries in the summer and brightly colored leaves in the fall, this gorgeous bush can grow to 20 feet with a 15 foot spread. 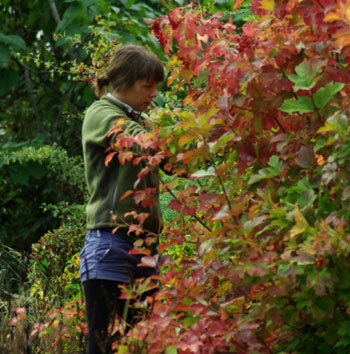 Used extensively in landscaping, it can be kept substantially trimmed back, if desired. The tea or tincture of the bark, readily stripped from the thinnings in spring and dried, has been used since antiquity to alleviate menstrual cramps, being nontoxic, non-inebriating, universally acceptable and reliable. Tree prefers full sun to part shade and regular garden soil. Seed is fresh and undried seeds sown in the fall germinate in the second spring, a 20 month induction period according to our experiments. High rates of germ are typical. 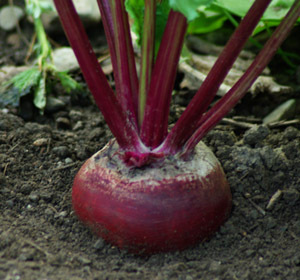 Plant seed 1/2 inch deep in a gallon pot, mulch with coir or peat, and keep in cool, moist shade. It really does seem like a long time to wait for seedlings, but this is a reliable method, tested here at our farm a number of times with good success, and trees grown from seed end up being the best trees overall, as they have a nice, spreading root system and are individuals, not clones. Individuate seedlings to gallon pots and grow out for a year before transplanting to landscape. Cramp bark bushes are multi-stemmed and they spread their arms wide–space at least 15 feet apart. When keeping the potted seed in the cool, moist shade for a year what would you recommend the place to be? Could it be indoors? 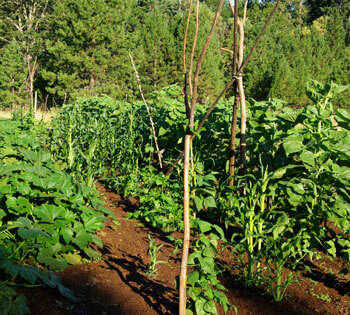 When you say moist, is that natural moisture from the air or does the seed need to be watered? This requires outdoor treatment in cool moist shade. Most of us use a shade house with benches and shade fabric. 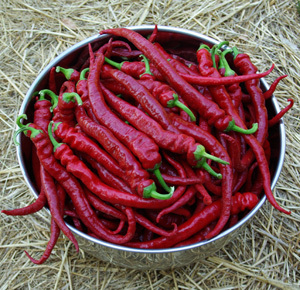 This is not a good choice for a beginning gardener–try something like basil, calendula or eve n comfrey roots. What zones will this plant grow in? Thank you. 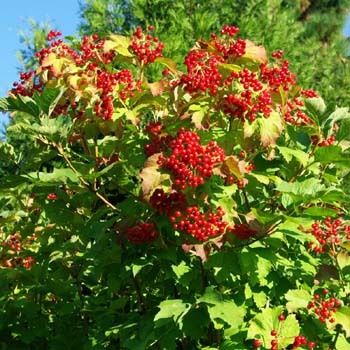 Fall colors of High Bush Cranberry (AKA Cramp Bark) (Viburnum opulus), and its time to harvest the ripe berries. Inside the berry we find the seed, a multicycle germinator that long eluded us in terms of unlocking its exact germination sequence. 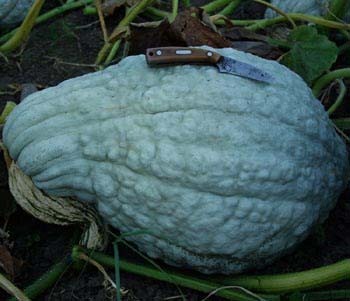 Turns out, the fresh seed, when planted in the fall, germinates in the second spring (appx. 20 month induction cycle from planting to germination). What we find in the case of long germinators such as this (besides the obvious need for plenty of human patience), is that mulching the planting site is of tantamount importance. The best procedure seems to be to use gallon pots or deep flats, plant the seed about 1 inch deep, tamp securely, then mulch thickly (another inch or two). Best mulches are thoroughly decomposed leaf mould or coir (short fibre coconut husk). The mulch keeps temperature of seed more constant through deep freeze and summer heat, keeps the seed moist, and perhaps most importantly of all disallows the formation of moss on the surface of the potting medium. A mulch needed detail. Love that Mona Lisa smile on the young harvester. I’m new to planting and have been doing as much research as I can and appreciate you taking the time to share your experience and knowledge with us. My question is this: once you plant the cramp bark in the ground will it need to be re-planted every spring or once it’s in the ground is there no need to re-plant it? 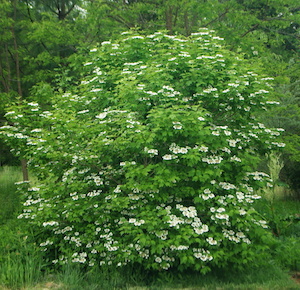 This is a perennial shrub/tree. Once you plant it in the ground it stays in place year after year.